With the continuous expansion of market share, especially in the last two years , the market for high-end technology and quality requirements of the product is increasing. Competitive pressures faced brutal society , how to improve the technological content of products , to high-tech enterprises shift from labor-intensive enterprises, has become the domestic crushers can not disregard the priority. As a domestic first-class R & D providers crusher , Zhengzhou Yifan Machinery Factory official said , the focus in the future will be to find a new breakthrough in terms of a combination of research , focused on enhancing the technological competitiveness of enterprises. 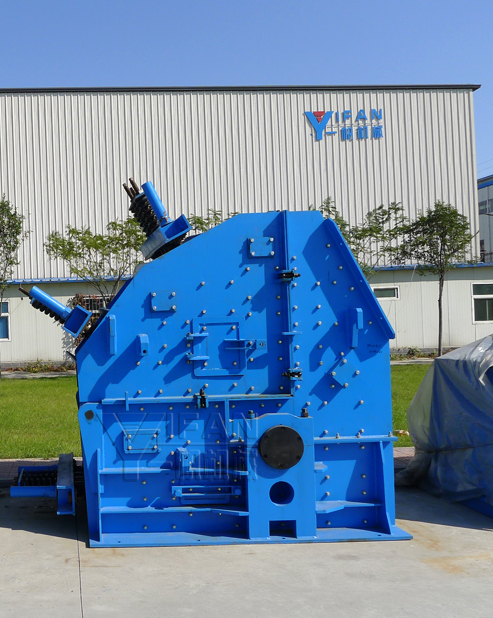 As the industry leader in the crusher , Yifan Machinery innovation -driven form of independent innovation , reputation first with a high degree of credibility of the brand-name companies , and the company has shown good momentum of development . While speeding up the establishment of enterprises as the mainstay, market-oriented , a combination of technological innovation system, promote scientific and technological achievements into productive forces , the root cause of this is Yifan Machinery rapid development. Yifan to science and technology , the quality of survival , in good faith to be a user , always carry out work and life of the operating principle, adhere to seriously only do right, good intentions to the operating principle is respected as well as the characteristics of a majority of users , that is life and high quality equipment. Users are welcome to visit our company to buy .